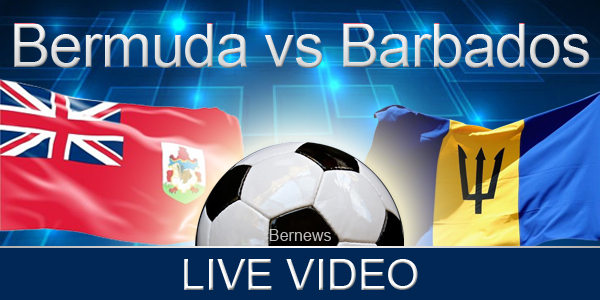 [Updated] The Bermuda Women’s U15 Football team is matching up against Barbados at the IMG Academy in Bradenton, Florida today [Aug 7] as part of the 2018 CONCACAF Women’s U15 Championship, and you can tune in and watch live below. This is their second game this week, following after their strong showing against Antigua and Barbuda yesterday, which saw Bermuda win 3-1, with goals from Che Chulae Dowling, Marli Butterfield and Adia Gibbons. Update 1.34pm: Bermuda’s Jahni Simmons scored in the 70th minute, and Bermuda won the game by a score of 1-0! Bermuda is now 2-0 so far in this tournament, having defeated Antigua [3-1] and Barbados [1-0]. The live broadcast has concluded, and the full replay, courtesy of Concacaf, is below. Update 5.16pm: The video highlights are below, including Bermuda’s goal.